Early in November, I decided that I wanted to enter some craft shows/bazaars to sell the Christmas cards that I had made. 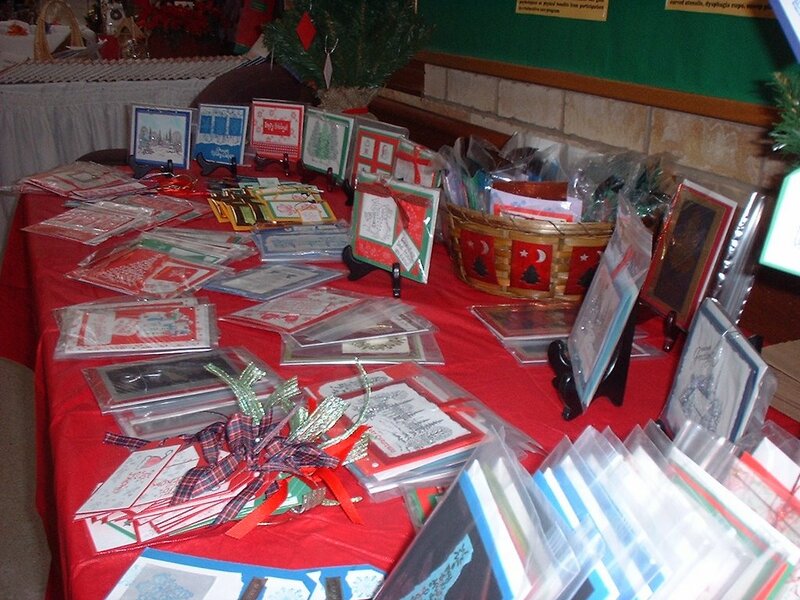 I did some preliminary research checking out some of the Christmas bazaars to see if anyone was selling cards and for how much. Armed with this information, I booked a table at a couple of local bazaars only to realize that I did not have enough cards. 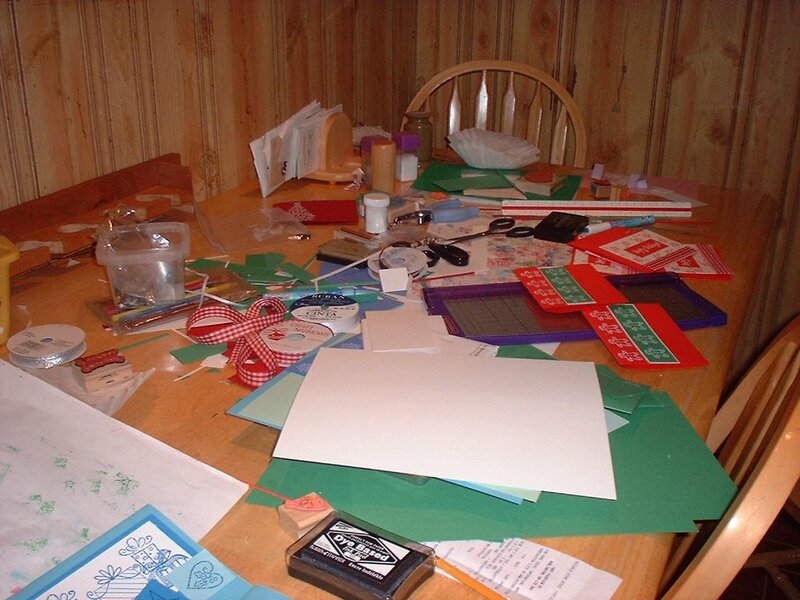 There was no eating allowed at this kitchen table for a week while my husband (who got hooked after making a couple of cards) and I made over 200 Christmas cards. Finally we were ready for the big day. Our table was set up and ready to go. 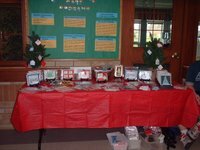 We did not have many sales at the first bazaar, but the second bazaar was more successful. 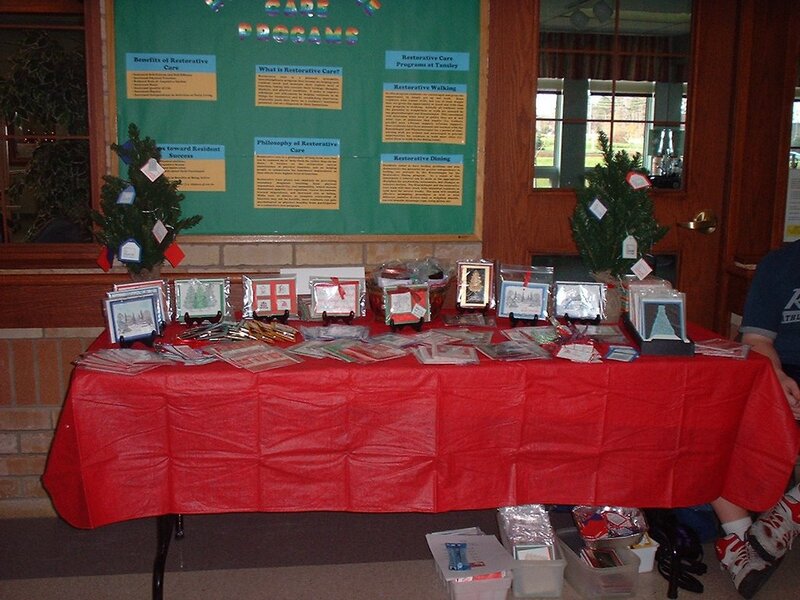 My daughter also became a great salesperson and sold many cards in her office. 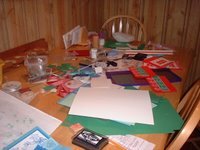 Making all those cards in such a short time has not dampened my enthusiasm for this hobby. In fact, I am even more addicted to it now than I was before. My plans for this year are to buy some more stamps and to make other types of cards (birthday, get well, baby, etc...) as well as Christmas cards and to participate in a few more bazaars in the fall and maybe even school fun fairs in June.